Nesta Robert “Bob” Marley, OM (6 February 1945 – 11 May 1981) was a Jamaican singer-songwriter and musician. 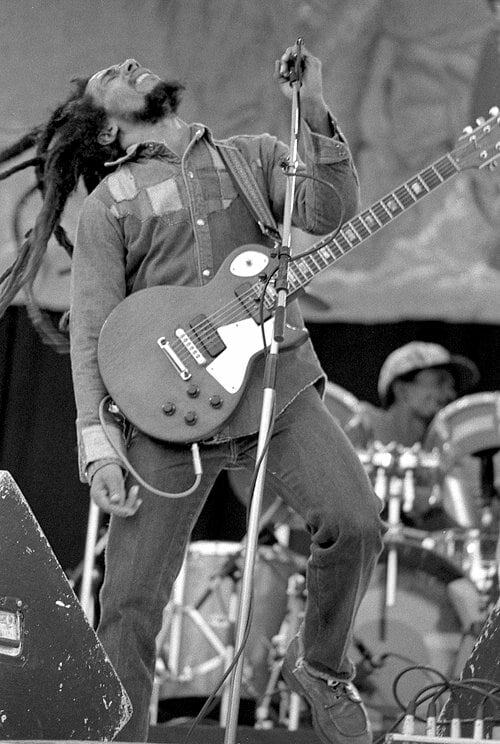 He was the rhythm guitarist and lead singer for the ska, rocksteady and reggae bands The Wailers (1963-1974) and Bob Marley & The Wailers (1974–1981). Marley remains the most widely known and the best-selling performer of reggae music, having sold more than 75 million albums worldwide.